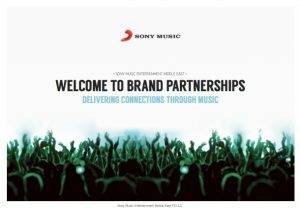 Our brand partnership team delivers smart ideas in music and entertainment. We help brands tell stories through content creation, partnerships, experiential, digital technology, artist endorsements and exclusives. We are a one-stop shop for regional music insights, consultancy and execution. In the past year alone we have been honored to partner with and support Land Rover, Daman Healthcare, Sony Jive, Sony Electronics, The One & Only, New Look, Johnson & Johnson and Bloomingdales.